When I was only 4 years old when I visited Kashmir with my parents. But surprising enough I remember quite a lot from the trip actually. The breathtaking views, the biting cold (something that I had never experienced before, since we lived in Rajasthan, the desert state of India. 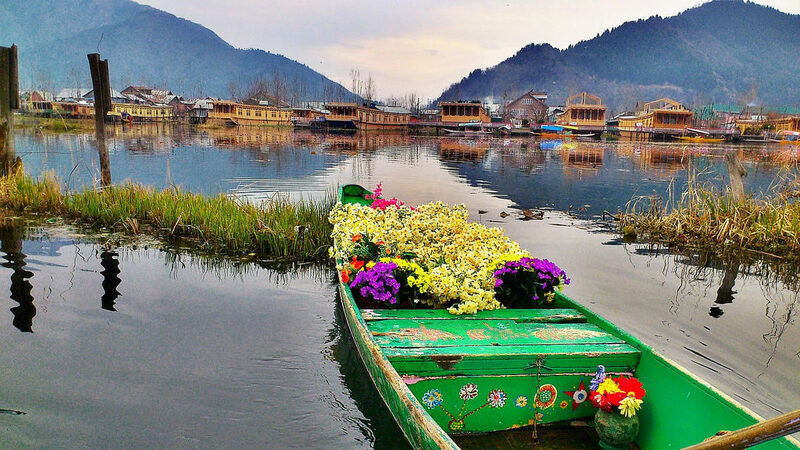 ), the way people dressed up, the delicious food and the tension in the air even back then (Kashmir has always been a bone of contention between India and Pakistan). 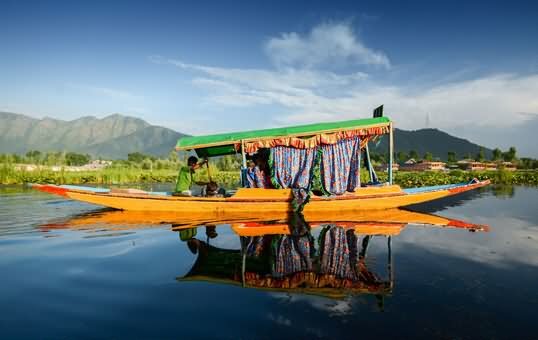 We also visited a beautiful boat house later, where they offered us the most delicious food, a meal which my parents continue to rave about. I was too little to understand the nuances of good food. I do remember, Mutton Rogan Josh was the highlight of that meal. For all these years, I have been wanting to cook it for my family, and I am glad I did, last Sunday!! And they loved it. Not sure if this recipe is anywhere close to what we had, but definitely reminds me of those beautiful days we spend in Kashmir. 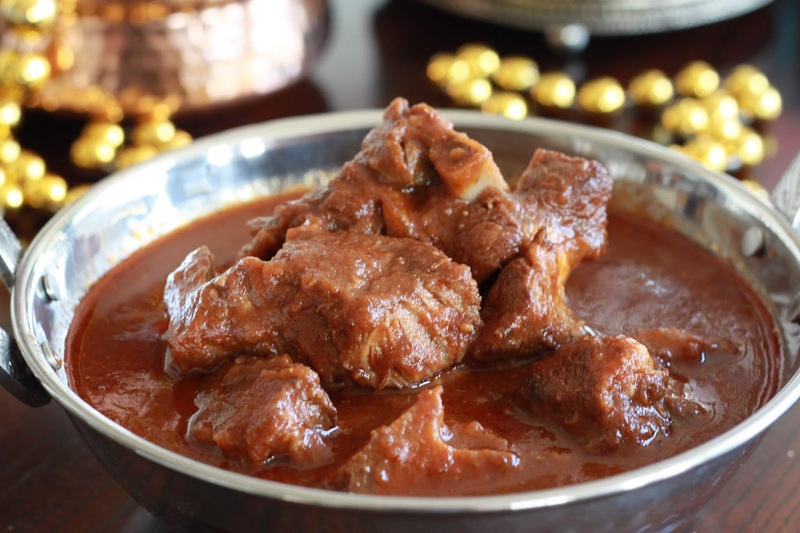 Interestingly Mutton Rogan Josh has two variations, one prepared by the Kashmiri Pandits – without any garlic, onions and tomatoes and the other cooked by the Muslims, with garlic, onions and tomatoes. I tried the latter, plan on trying the other one soon. 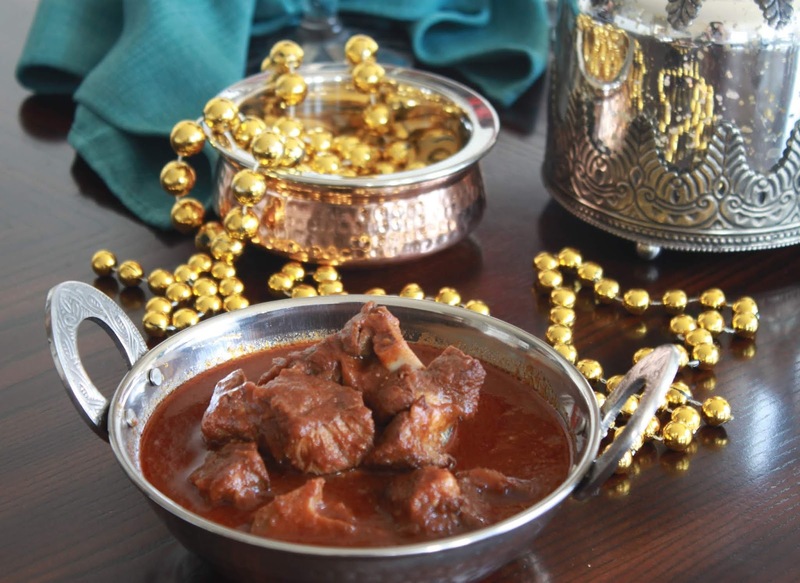 Here’s the recipe of probably the most delicious preparation of mutton, cooked until it’s falling off the bones and absorbs all flavors of the freshly ground spices and the rich curry. Separate the mutton pieces and the curry, pass the curry through a sieve and collect it in a pot, this will ensure a smooth gravy without any whole spices and other residues, now our the gravy onto the mutton pieces, heat and enjoy the rich and deep flavors of slow cooked meat!! Sometimes goat meat is tough to cook and may take long, do not in any case pressure cook it or put in on high heat, that will only make the texture rubbery, the best method is to add a pinch of sugar and cook on low heat, covered with a lid, until it becomes tender (for me it took 1.5 hours, probably because the butcher did not give us fresh meat). Also cooking on low heat, brings out a nice color and helps the meat absorb the spices.